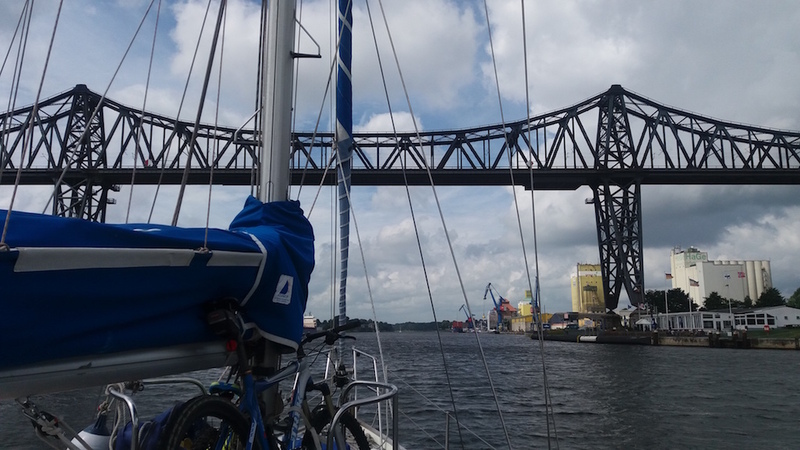 The Kiel canal is 61 nautical miles long and takes you from the Baltic Sea to the North Sea (or visa versa, of course) through two locks – one in each end. 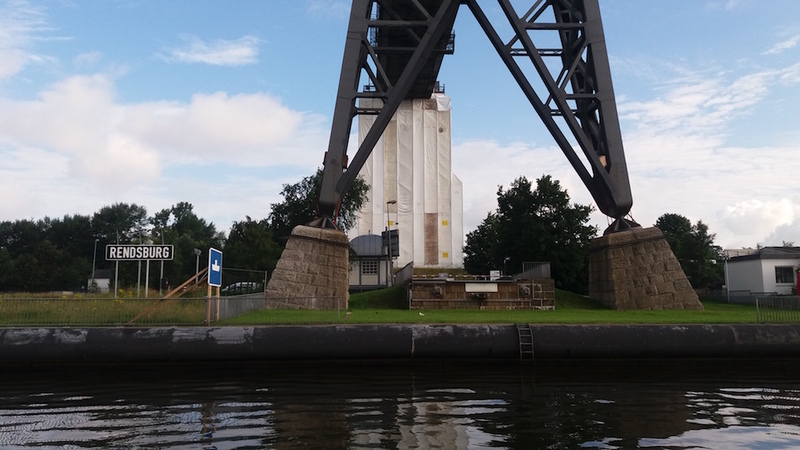 We took the canal in early July 2016 with a Vancouver 32 and spend two nights halfway through the canal in Rendsburg and one more at the Brunsbuttel lock. 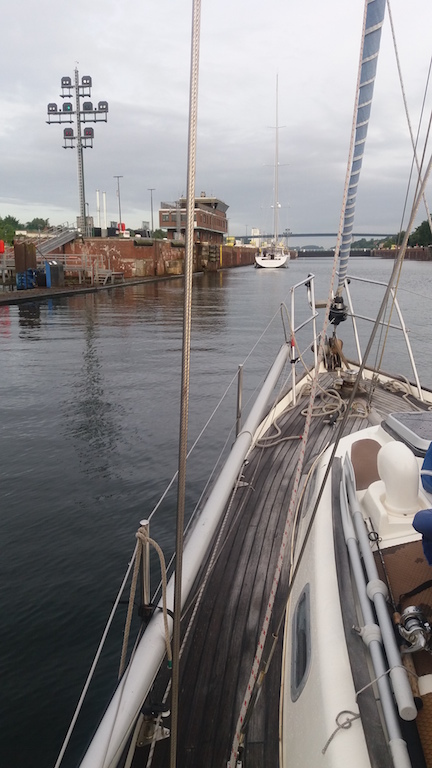 The Kiel canal locks were very easy to take with two adults onboard. 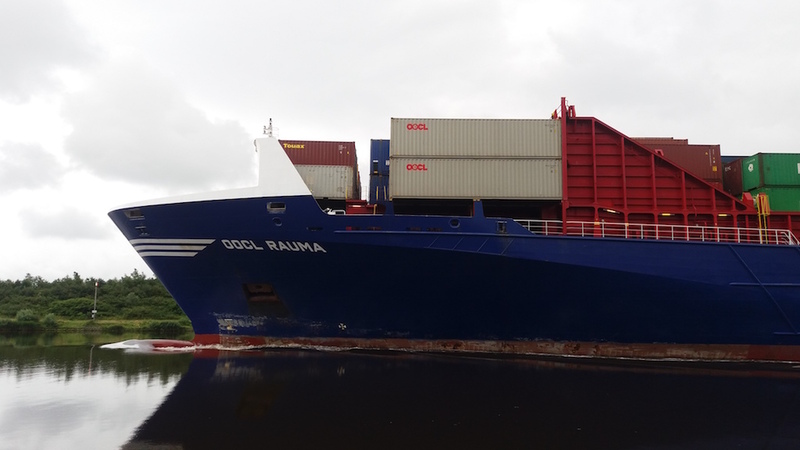 Driving in the canal (sails are allowed but you have to have your motor on standby) required constant steering and keeping a watch mostly because crossing ferries and cargo ship traffic. 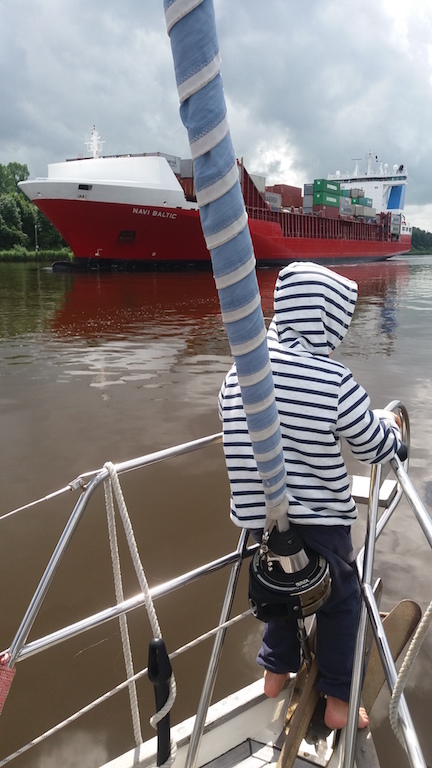 Here’s our journey through the Kiel canal in pictures. 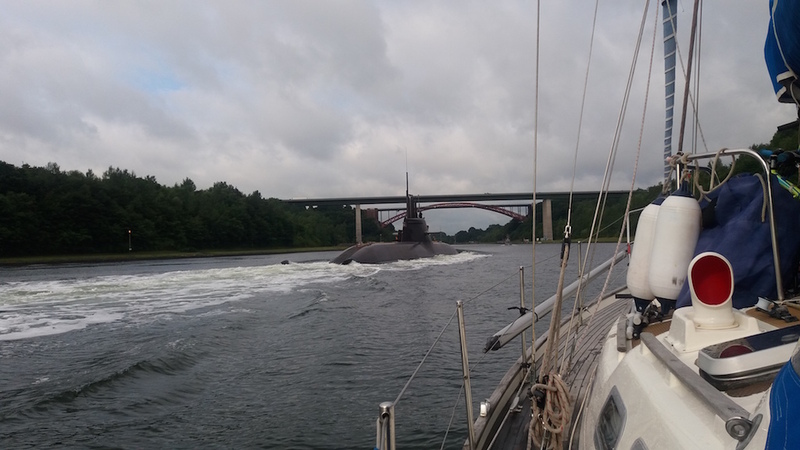 On our way to the beginning of the Kiel canal from Laboe, we met a german submarine. It was on this way to the canal also. 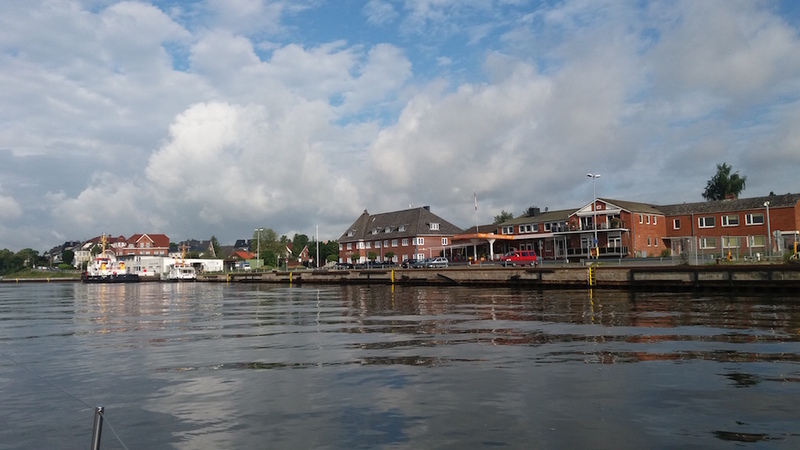 Driving around in front of the lock and waiting for the permission to enter. White light gives you permission to enter the lock. The light was shown for a very short period of time – keep your eyes open. We waited for the permission for an hour. 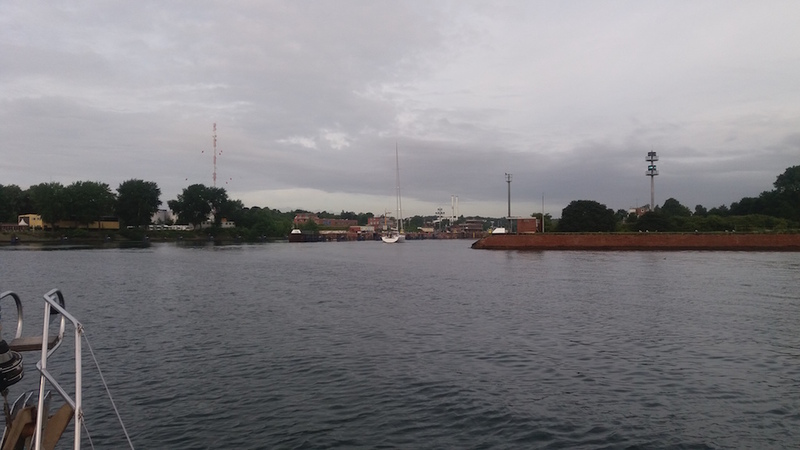 Only us and one other sailboat in the lock at 0700am. 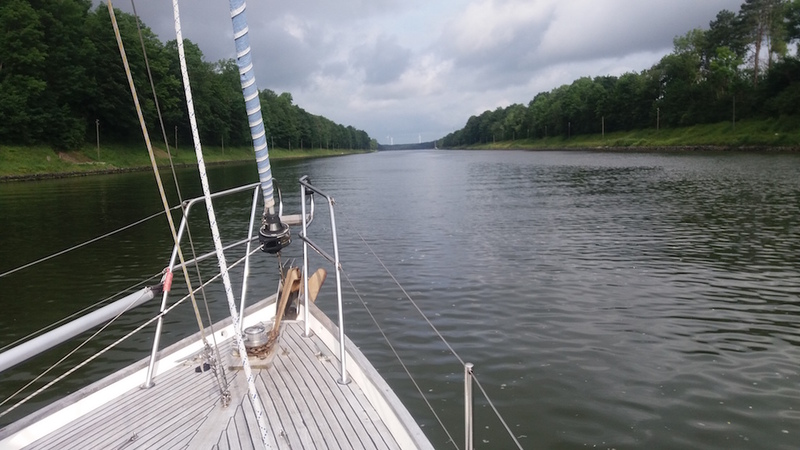 Tied to the lock pontoon with two lines – one in the back, one in the front. 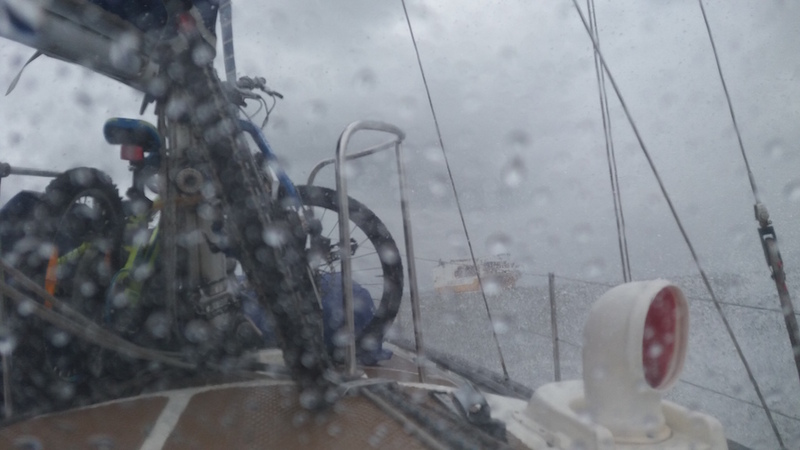 Keep your fenders down and mind your step, the pontoon is slippery! 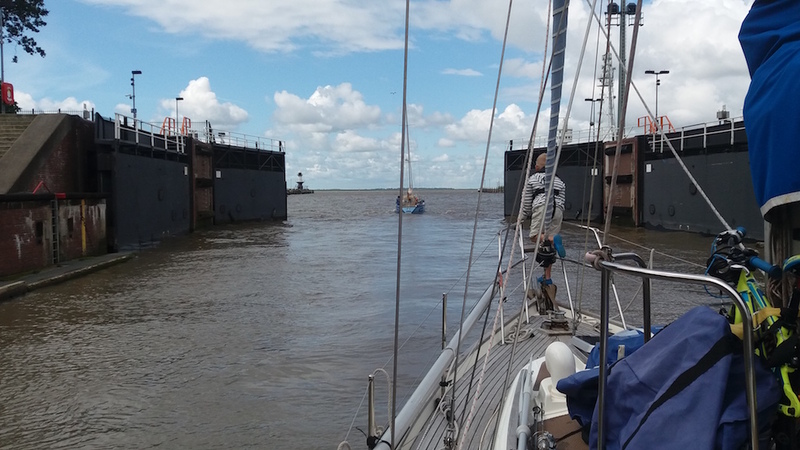 And we were out from the lock before no time. We hardly even saw the change in the water level. 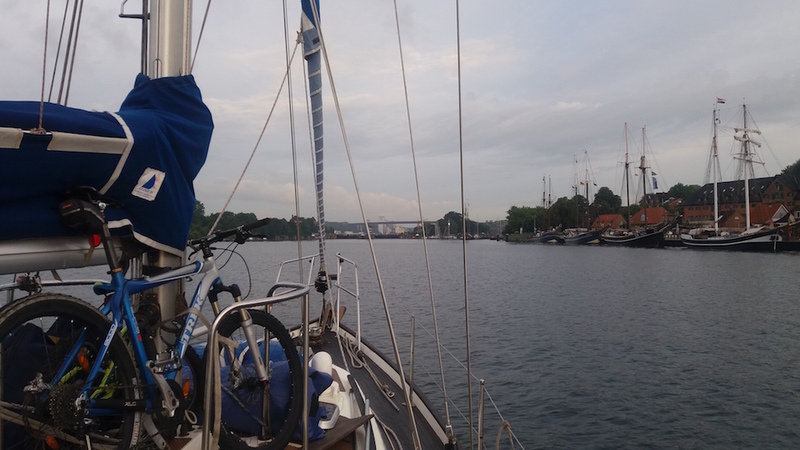 Typical view from the Kiel canal. Not much to see but there’s a bikeway along the canal the whole way. 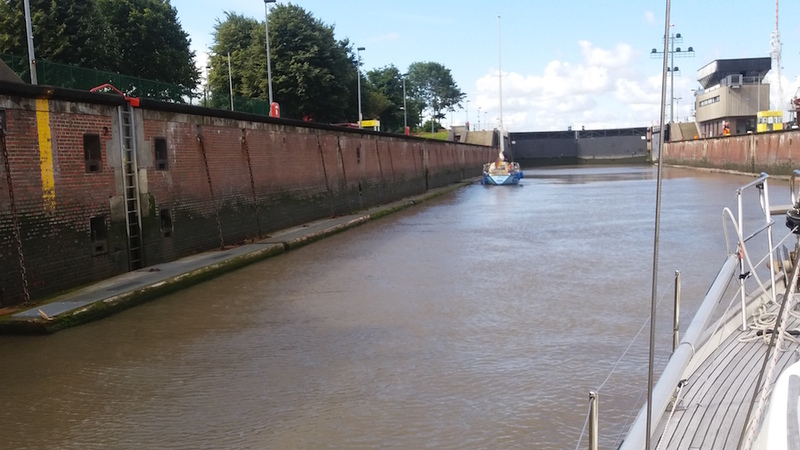 We were surprised that the traffic at the canal was so quiet in July. 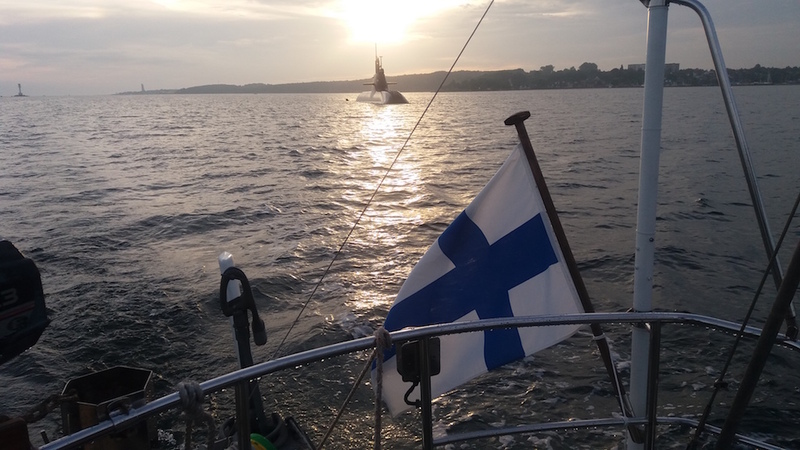 After driving behind us for an hour or so, the submarine past us. 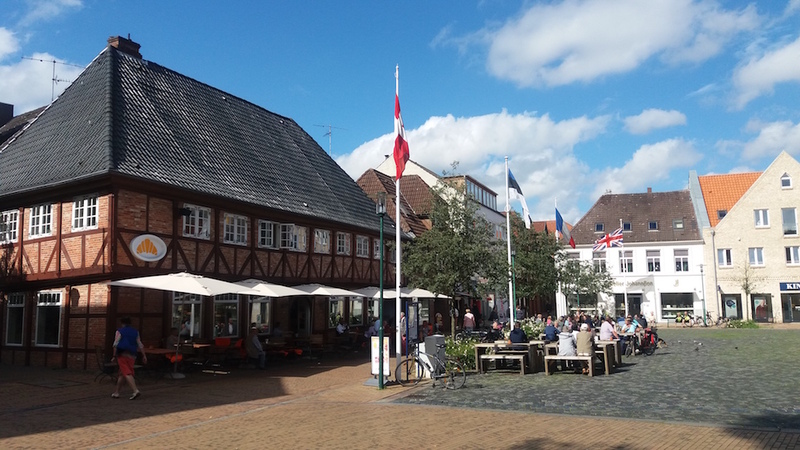 Rendsburg city center. You can find everything you need here except a boat/maritime shop. The suspended ferry that hangs under the bridge was under renovation. It normally takes people across the canal in every 15 mins. 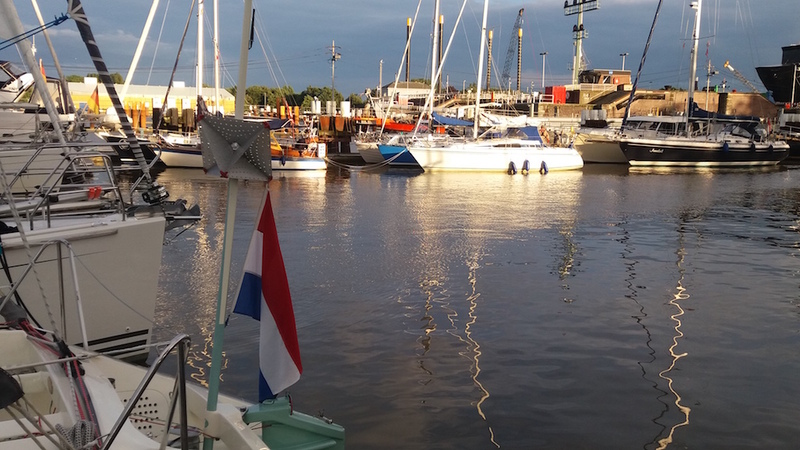 The industrial harbor right at the canal is a good choice if you just want to make a short pitstop in Rendsburg. There’s a nice cafe shop and supermarket just 100m away. We had more traffic at the canal the second day but you cannot really say that it was busy. 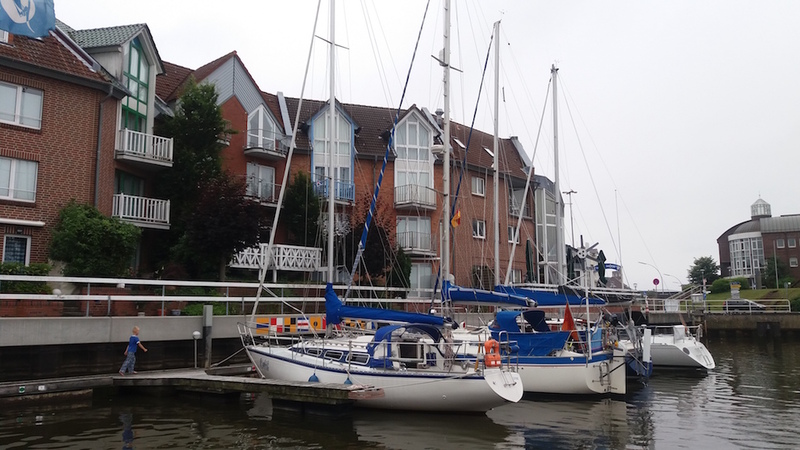 The Brunsbuttel harbor is located in the canal, just before the lock. 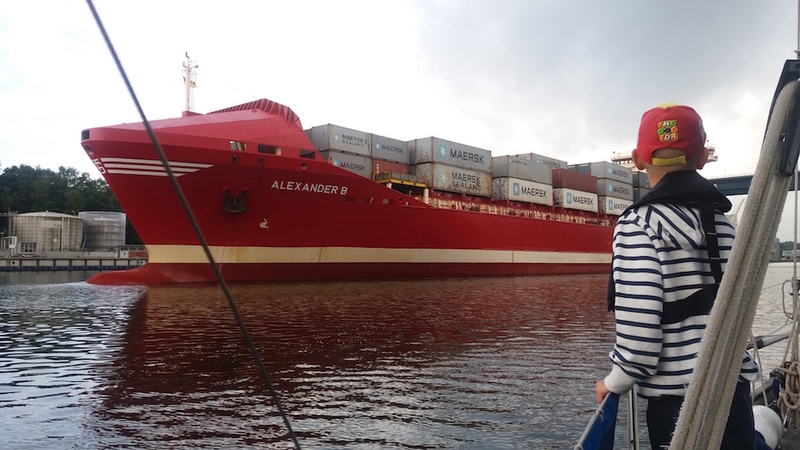 You can admire ships from close distance and drive directly to the lock when white light gives you a permission to do so. 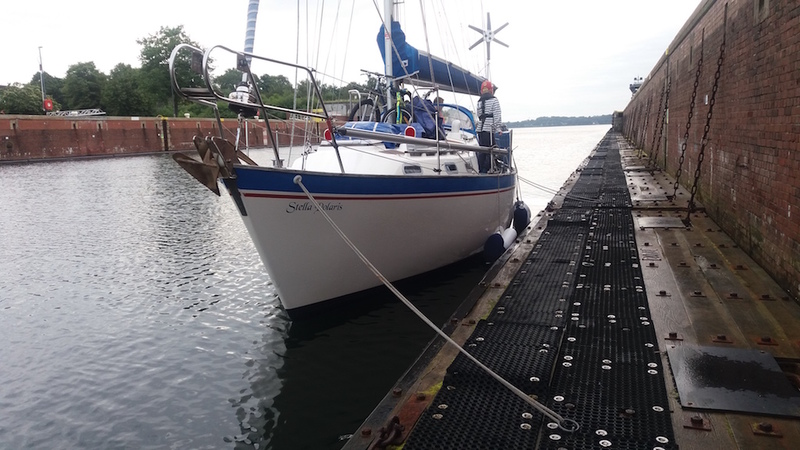 Again just another sailboat in the lock with us. 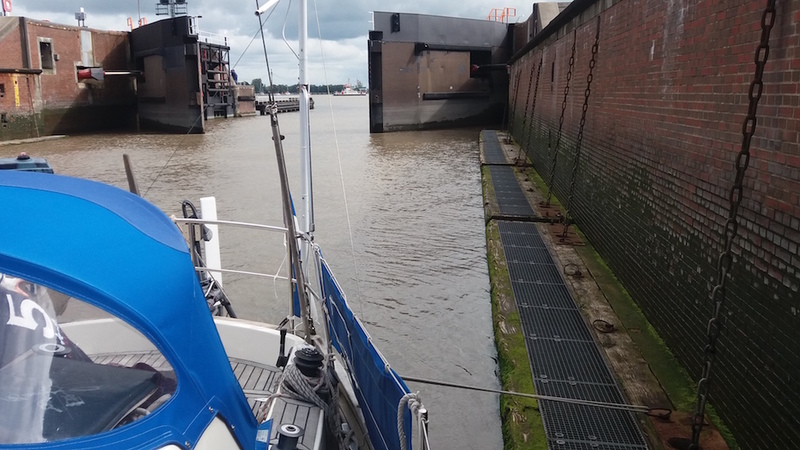 Same system as in the previous lock: tie to a pontoon. The water level rouse about a meter and it caused no turbulence or anything. And the gates open you can enter the Elbe river. 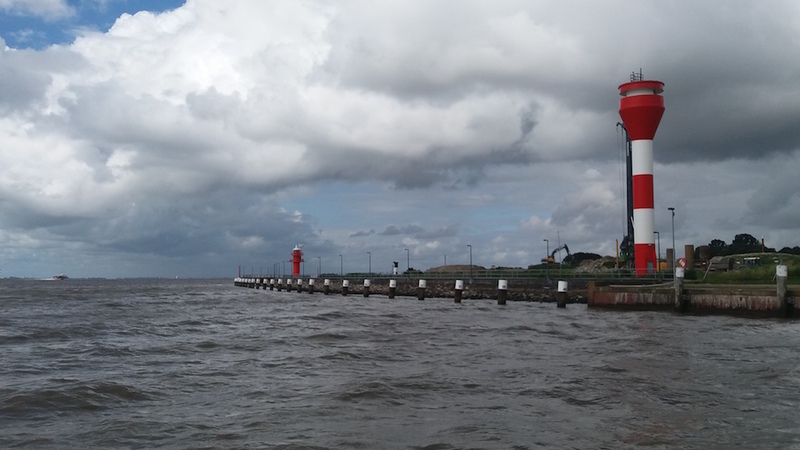 The Elbe river lighthouse at the Brunsbuttel lock. Welcome to the tidal waters! 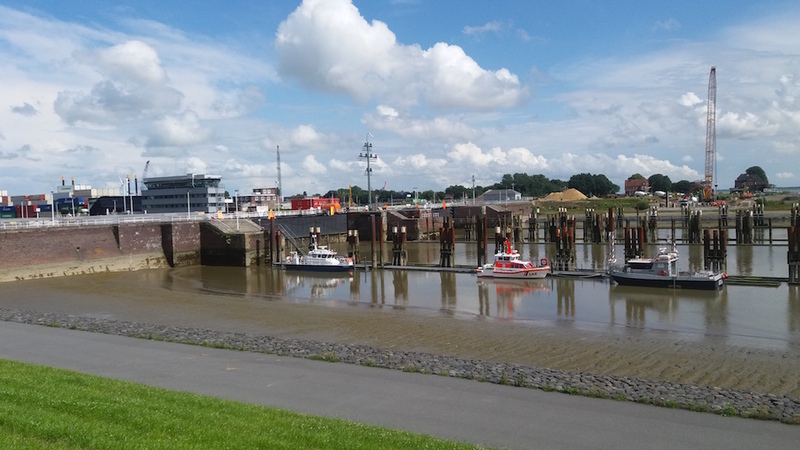 This is Brunsbuttel lock on the Elbe river side at low tide. 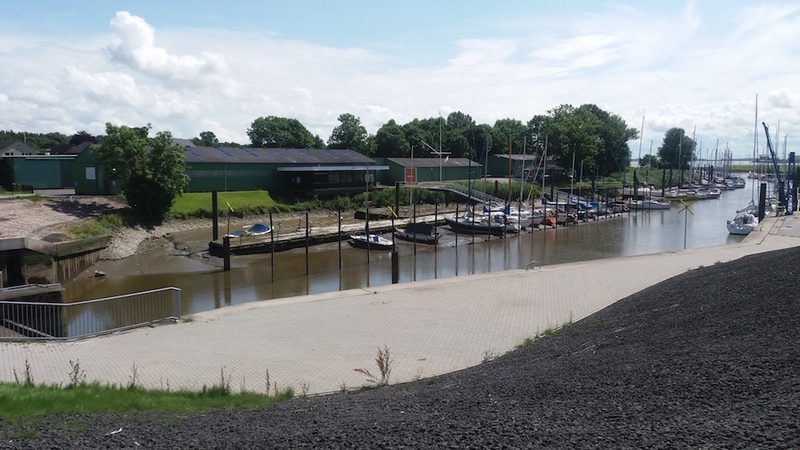 The harbor at the Elbe river side next to the Brunsbuttel lock in low tide. 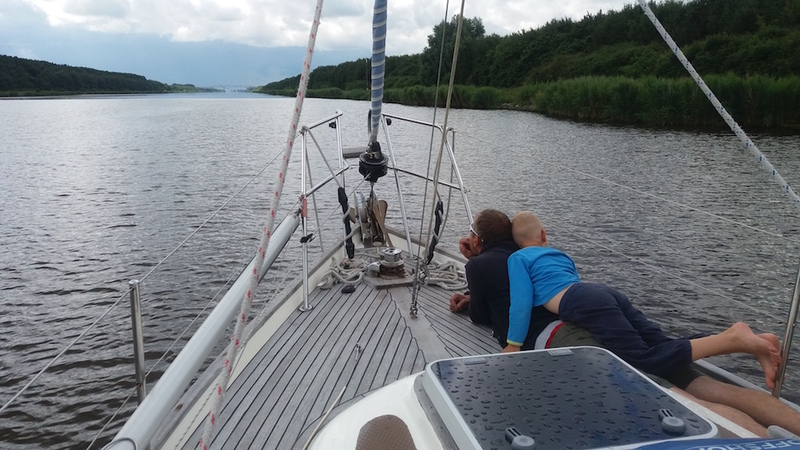 We expected easy river cruising from the lock to Cuxhaven but got something completely different. 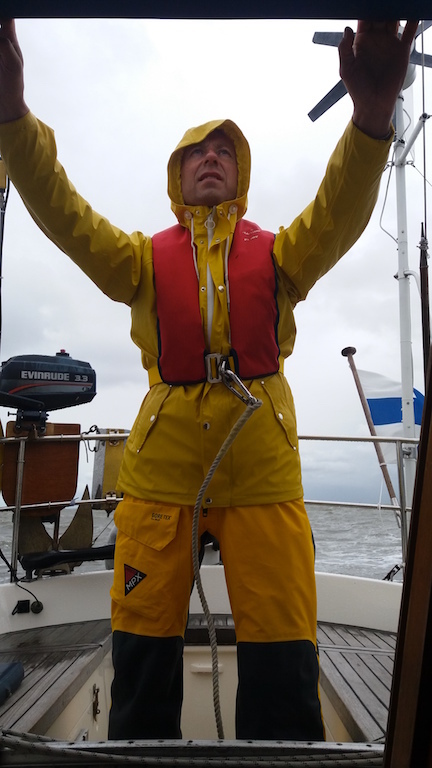 Coretex weather, waves, headwind and nasty Elbe river waves. 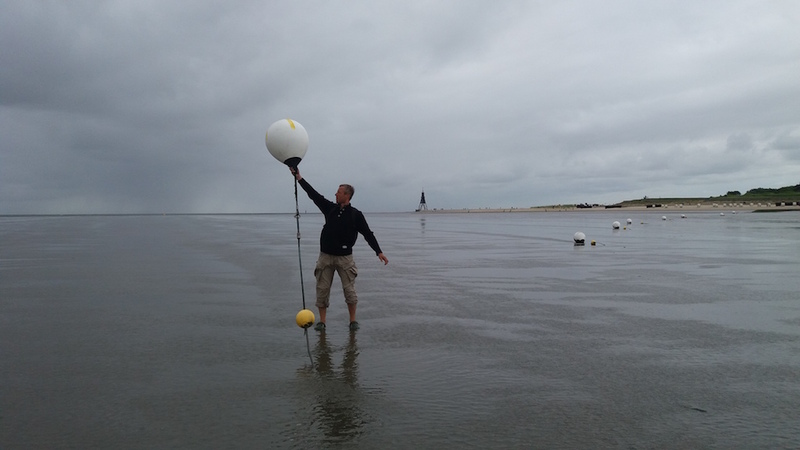 Cuxhaven is a good place to look for the right timing to get out from the Elbe river. 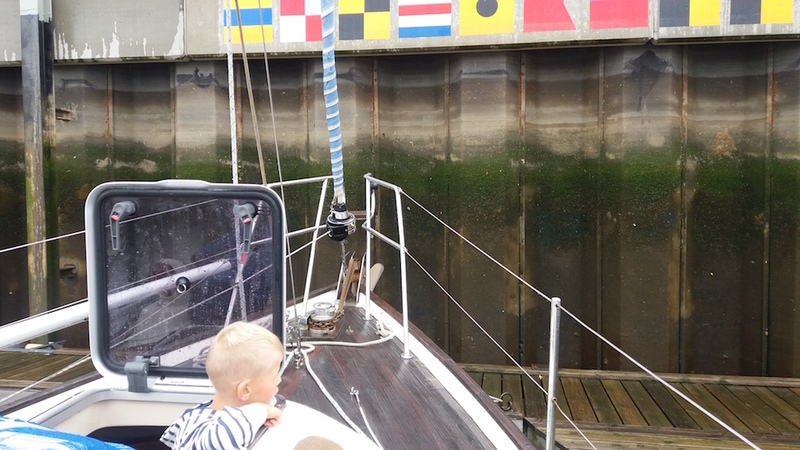 Getting out is a bit tricky because of tidal water and North Sea westerly winds. 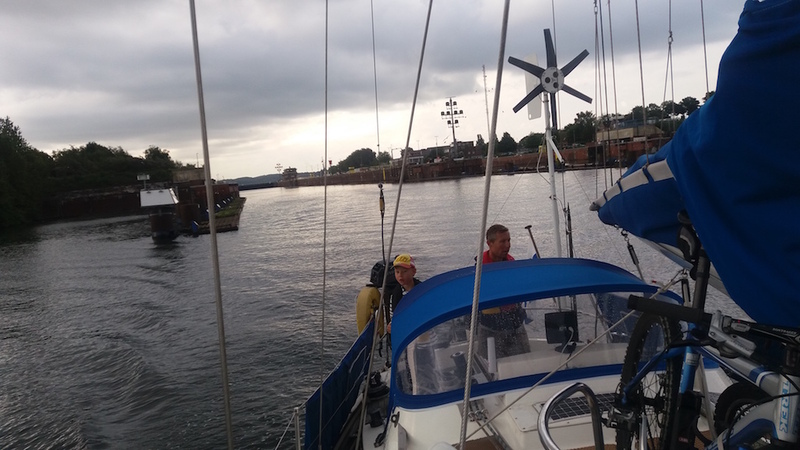 We waited for 3 days before heading to Helgoland. 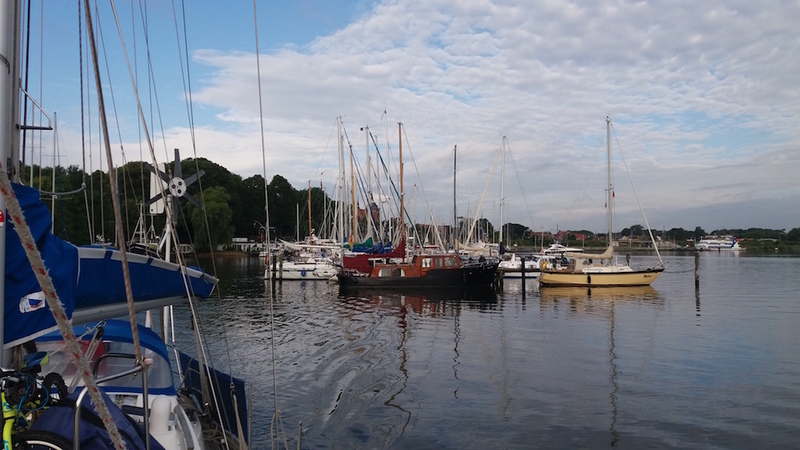 The tide is about 3m in Cuxhaven harbor.